On October 27, 2015, the Library of Congress released its final rules for the current cycle of the Digital Millennium Copyright Act’s (DMCA) Section 1201 rulemaking, setting forth exemptions from the prohibition against circumvention of technological protection measures (TPMs). Every three years, proponents of exemptions must engage in a long process to seek renewal or expansion of existing exemptions or the granting of new exemptions in order to circumvent TPMs for non-infringing uses. The new exemptions expand the previously granted exemptions in several areas and also grant new ones. ARL, as part of the Library Copyright Alliance (LCA) submitted petitions for proposed exemptions requesting renewal of an exemption grating people who are print disabled circumvention of technological protection measures on literary works distributed electronically as well as renewal and expansion of an exemption for motion picture excerpts for educational purposes. LCA also joined in five filings that provide evidence for the need of various exceptions that have been proposed including for: use of audiovisual works for educational use, for MOOCs, and for informal learning and K-12; e-book accessibility; and 3-D printing. The new rules renew the exemption for literary works distributed in electronic form for persons who are blind, visually impaired or print disabled. Notably, there was no opposition to renewing the exemption granted in 2012 and the Association of American Publishers filed comments indicating it did not object to this renewal. Additionally, the 2015 rules permit circumvention for motion picture excerpts for educational purposes. In a long and detailed rule, the new exemption permits circumvention of DVDs and Blu-ray discs for the use of short portions of motion pictures by college and university faculty and students in film studies or courses requiring close analysis of film and media excerpts and by the faculty of massive open online courses (MOOCs) in film studies or other courses requiring close analysis of film and media excerpts (among other specific exceptions regarding use of motion picture excerpts). The new exemptions also permit circumvention to access video games for the purpose of copying and modification to restore access to the game when necessary to allow preservation by a library, archive or museum. Among other exemptions not directly related to libraries and higher education, but that highlight the absurdity of the process, the Copyright Office and Library of Congress considered exemptions to permit circumvention for the purpose of diagnosis, repair and modification of vehicles and for the purpose of security testing on vehicles or medical devices implanted in patients. In April 2015, Wired published a piece highlighting the absurdity of using technological protection measures and copyright to prevent individuals from tinkering with items that they own in a piece titled “We Can’t Let John Deere Destroy the Very Idea of Ownership.” While the Library of Congress ultimately granted (again, highly detailed) exemptions in these categories, but the exemption that allows diagnosis, repair or modification of a vehicle will not go into effect for 12 months. NTIA urges the Copyright Office against interpreting the statute in a way that would require it to develop expertise in every area of policy that participants may cite on the record. Although Congress clearly included this factor to enable consideration of issues not otherwise enumerated, the deliberative process should not deviate too far afield from copyright policy concerns.6 As the Register of Copyrights noted in 2010, “the focus in this rulemaking is limited to actual or likely adverse effects on noninfringing uses of copyrighted works. No other agency has delegated authority to temporarily limit the application of the prohibition on circumvention. This prohibition was established to provide legal support for, and foster the availability of, copyrighted works in the digital environment.” Therefore, the Office should not, in its deliberations, heavily weigh unrelated matters such as greenhouse gas emissions or the quality of materials used to build aircraft, and should instead focus primarily on questions relevant to copyright law.8 Congress, applicable regulatory agencies, and their counterparts within state governments are well-equipped to deal with these non-copyright issues in the appropriate settings and under legal authorities focused on those issues. [T]hat security measures that have been deployed for non-copyright reasons—such as security and privacy, or possibly anti-competitive goals—are being described in this rulemaking as technological measures controlling access to copyrighted works under Section 1201. This is a fundamental misuse of Section 1201, which can lead to reduced respect for the DMCA and copyright law, and can yield either an inappropriate overprotection of copyright (out of concern, for example, to avoid harming security), or a reduction in security (because of a grant of an exemption in this proceeding where indeed no significant copyright interest is at issue). A related problem would arise if a manufacturer were to use the same technological protection measure to achieve two functions—enhance security and protect a legitimate copyright interest. Again, this could lead to inappropriate outcomes, and manufacturers would in many cases be well advised to separate techniques aimed at copyright protection from those aimed at security and privacy. These concerns lead to two practical considerations. First, a record showing that a technological measure was not deployed with copyright protection in mind should weigh heavily in favor of a proposed exemption. Such a standard is entirely consistent with the statutory factors to be considered in this rulemaking. Second, the increasing ubiquity of security measures has led to a widespread assumption that Section 1201 applies in a broader set of circumstances than may, in reality, be true. One of the clearest examples of this phenomenon appeared during the previous triennial rulemaking, when one group of proponents sought an exemption for circumventing access controls protecting public domain works. The problem has further manifested itself during this proceeding, as highlighted by the confusion over whether circumvention is necessary to make certain repairs to video game consoles, as well as the possibility that the Lexmark decision may have placed some acts of circumvention involving 3D printers outside the scope of Section 1201. In these circumstances, the Copyright Office has a role to play in clarifying the scope of Section 1201 through these proceedings. Where the prohibition against circumvention clearly does not apply, NTIA recommends the Copyright Office continue its previous practice of noting that a “requested exemption is beyond the scope of this rulemaking proceeding.” Similarly, in cases where the prohibition may apply, but only in certain instances, NTIA suggests noting the prohibition’s limitations when recommending an exemption to the Librarian. NTIA further encourages the Copyright Office to make clear to manufacturers and content creators that they should remain cognizant of the underlying purposes for which an access control is implemented. Manufacturers should not implement access controls on devices to restrict certain device functions or enforce non-copyright-related business models—which is not the purpose behind Section 1201—and then try to use the DMCA to enforce a business model or limit a user’s post-purchase modification of a device. While the 2015 exemptions include some improvements with respect to expanded exceptions, the rules have become more verbose and complex over the course of the six rulemaking cycles. The long, detailed exemptions will lead to greater confusion and make the exemptions less useful. Laura Quilter has this excellent post on the complexity of the new exemptions. This entry was posted in Uncategorized and tagged 1201, Blu-ray, copyright, copyright office, dmca, DVDs, libraries, Library of Congress, MOOCs, rulemaking, tpm, tpms on October 27, 2015 by Krista Cox. On Thursday, February 26, 2015 the FCC adopted its Open Internet Order, ensuring that Internet providers cannot create “fast lanes” and “slow lanes” by reclassifying broadband under Title II of the Communications Act while also relying on the FCC’s authority under Section 706 of the Telecommunications Act. Relying on both sources of legal authority strengthens the ability of the FCC to protect net neutrality. As noted, in ARL’s February 26th press release, the fact sheet released by the FCC when it voted in favor of the new Order, indicated that the Commission had incorporated many of the joint principles filed by libraries and higher education organizations. The FCC has now released the text of its Report and Order which explicitly recognizes the role of libraries and institutions of higher education, including several citations and references to comments ARL filed with other library and higher education associations in July and September of 2014. The FCC’s final order represents improvements over the initial proposed rules. ARL applauds the FCC’s decision to strongly protect the open Internet and its responsiveness to the concerns of libraries and higher education. 105. No-Blocking. First, we adopt a bright-line rule prohibiting broadband providers from blocking lawful content, applications, services, or non-harmful devices. This “no-blocking” principle has long been a cornerstone of the Commission’s policies. While first applied in the Internet context as part of the Commission’s Internet Policy Statement, the no-blocking concept dates back to the Commission’s protection of end users’ rights to attach lawful, non-harmful devices to communications networks. 106. No-Throttling. Second, we adopt a separate bright-line rule prohibiting broadband providers from impairing or degrading lawful Internet traffic on the basis of content, application, service, or use of non-harmful device. This conduct was prohibited under the commentary to the no-blocking rule adopted in the 2010 Open Internet Order. 241 However, to emphasize the importance of this concept we delineate under a separate rule a ban on impairment or degradation, to prevent broadband providers from engaging in behavior other than blocking that negatively impacts consumers’ use of content, applications, services, and devices. 107. No Paid Prioritization. Third, we respond to the deluge of public comment expressing deep concern about paid prioritization. Under the rule we adopt today, the Commission will ban all paid prioritization subject to a narrow waiver process. To be clear, ‘mass market’ includes broadband Internet access services purchased with support of the E-rate and Rural Healthcare programs, as well as any broadband Internet access service offered using networks supported by the Connect America Fund (CAF). To the extent that institutions of higher learning purchase mass market services, those institutions would be included within the scope of the schools and libraries portion of our definition. Additionally, the Chairman’s initial proposal included “the creation of an ombudsperson to act as a watchdog to represent the interests of consumers, start-ups and small businesses.” The comments filed by libraries and higher education asked for these groups to be included in this list of interests. The FCC’s final order does this by allowing complaints by “individuals and organizations,” rather than seeming to limit access to start-ups and small businesses. As with the FCC’s 2010 Open Internet Order, it is likely that challenges will be brought against the 2015 Order. ARL will continue to monitor these issues and work to ensure that the open character of the Internet is preserved. This entry was posted in Uncategorized and tagged fcc, higher education, libraries, net neutrality on March 13, 2015 by Krista Cox. Fair use is a critical right and the most important limitation on the rights of the copyright holder. It permits the use of copyrighted material without permission from the rightholder under certain circumstances and has been called the “safety valve” of U.S. copyright law. Fair use is a broad and flexible doctrine that is responsive to change and can accommodate new technologies and developments. The doctrine is relied upon by everyone, including both users of copyrighted content as well as rights holders. For libraries and higher education, fair use is integral to achieving the mission of preservation; providing access to cultural, historical, local and scientific heritage; supporting and encouraging research, education, literacy and lifelong learning; and providing a venue for community engagement. how it can be used (such as the misconceptions cited at the March 2014 Orphan Works Roundtable). In honor of Fair Use Week, here are twelve myths and realities about fair use (PDF document). 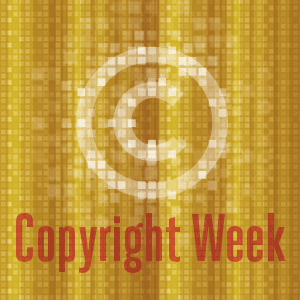 This entry was posted in Uncategorized and tagged fair use, fair use week, fair use week 2015, libraries, myths on February 27, 2015 by Krista Cox. Today, November 19, 2014, the House Judiciary Subcommittee on Courts, Intellectual Property and the Internet will continue its copyright review with a hearing on “Copyright Issues in Education and for the Visually Impaired.” Witnesses for the hearing include Jack Bernard, Associate General Counsel, University of Michigan; Allan Adler, General Counsel, Association of American Publishers; Scott LaBarre, State President, Colorado, National Federation for the Blind; and Roy Kaufman, Managing Director, New Ventures, Copyright Clearance Center. In advance of the hearing, LCA submitted a statement for the record. The statement discusses the exceptions to the Copyright Act enabling libraries to support educational institutions and concludes that revision of these provisions is unnecessary. It also discusses the Chafee Amendment and fair use doctrine, provisions allowing libraries to provide accessible format copies to the print disabled. This entry was posted in Uncategorized and tagged copyright, copyright review, education, libraries on November 19, 2014 by admin. On October 27, 2014, the Association of Research Libraries (ARL) and the American Library Association (ALA) filed comments* with the FCC opposing the petition for waiver extension by e-reader manufacturers. On January 28, 2014, the FCC granted a one-year waiver of its advanced communication services (ACS) accessibility rules for “basic e-readers” considered to be “single-purpose reading devices that consumers use for accessing text-based works (i.e., reading), not for other purposes such as ACS.” The e-reader manufacturers recently filed a petition requesting an extension of this waiver, which essentially creates a tax for disabled persons purchasing basic e-reader devices. In the filing, ARL and ALA explain how basic e-readers are used, including for “co-primary uses” which allow the user to connect to the Internet and use the device to communicate with others via e-mail and social media services. ARL and ALA oppose the extension of the waiver, noting that denying the e-reader manufacturers’ petition “is consistent with the public interest. Finally, ARL and ALA argue that if a waiver is extended, that the FCC should narrow the scope of the waiver class and limit its duration. The full comments can be found here. Under the current e-reader ACS regime proposed by the Coalition and tentatively adopted by the Commission, disabled persons must pay a ‘device access tax’. By availing oneself of one of the ‘accessible options’ as suggested by the Coalition, a disabled person would pay at minimum $20 more a device for a Kindle tablet that is heavier and has less battery life than a basic Kindle e-reader. There is also some irony that the Commission’s current waiver rules would suggest that a blind person would need to purchase a device that is marketed for its screen with a high refresh rate, high resolution, and vibrantly colored screen in order to get the proper accessibility. In order to get the features that they do need, the blind will be forced to pay for an array of features from which they cannot benefit. It is completely inappropriate to ‘tax’ those with disabilities who seek information on the same terms at the sighted. By requiring that all of the Coalition’s products include accessible ACS, it opens a market for the print-disabled for the same e-readers at the same price points as for other sectors of the public. This entry was posted in Uncategorized and tagged accessibility, ala, disabilities, disability tax, e-reader, fcc, libraries on October 28, 2014 by admin.